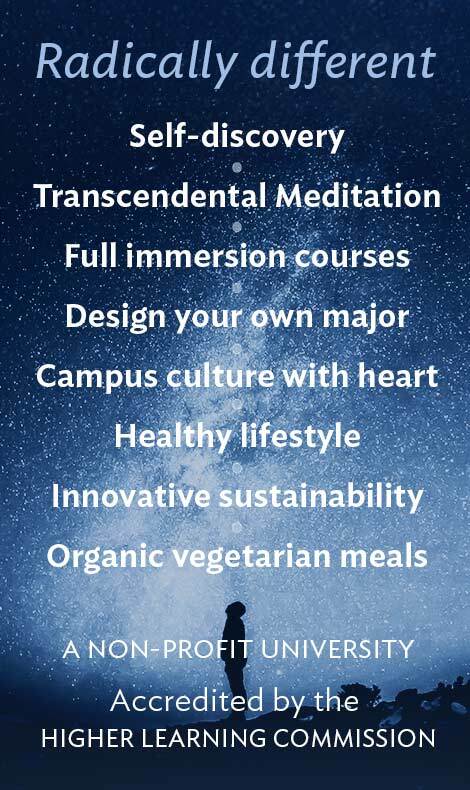 The following is the projected schedule for students entering the MS in Maharishi Ayurveda and Integrative Medicine in February, 2019, and is subject to change. 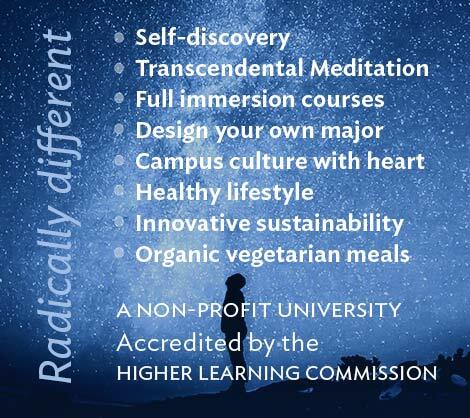 The following is the projected schedule for 2018-19 for students who entered the MS in Maharishi Ayurveda and Integrative Medicine in August, 2018, and is subject to change. The following is the projected schedule for 2018-19 for students who entered the MS in Maharishi Ayurveda and Integrative Medicine in August, 2017, and is subject to change. The following is the projected schedule for 2018-19 for students who entered the MS in Maharishi Ayurveda and Integrative Medicine in August, 2016, and is subject to change. Online students will be automatically withdrawn if not logged on to the online course by Day 7 by 11:59 pm (central time) after the course-begin date that is published in the schedule. During the length of the course, a student must participate according to the course syllabus within a 14-day period or will be automatically dropped. Students who fail to maintain active participation in an online course as defined in the course syllabus will be dropped from the course unless their instructor has given prior approval and the instructor has notified the MUM Registrar and de@mum.edu. Submission/completion of assignments, discussions, quizzes, and communication with the instructor. If a student cannot meet the deadline for submission of academic work, then they must agree to a Late Work Contract in order to submit the work late. Students may not hand in work after the last class session of a course unless they have made prior arrangements with the course instructor, and all students are given a grade at that time based on completed work, in-class performance, and work not yet completed. A zero (0) for the uncompleted work is figured into the interim grade. Students who are not able to complete all major assignments of a course, typically in the final week, due to illness, family emergency, or other compelling circumstances beyond their control, may petition the professor in writing before the end of the course to be granted more time. If the petition for additional time is granted by the professor, the student will form a contract with the student, specifying the assignments that need to be completed and their due date(s). If the required work is submitted as specified in the contract before the professor turns in grades (generally 10 days after the end of the course), the student will receive the grade earned through in-course work and work done during the extended time. In the event the student is sick or otherwise incapacitated during the time the professor is completing the grading process, the student may petition the professor for additional time — up to 42 days from the final day of the course — to submit late work. The faculty may also request documentation of the illness or other emergencies. Students who do not meet the Online For-Credit Attendance, Participation and Expectations Policy stipulated above are likely to receive a No Credit for the course and are not eligible to apply for this petition. This petition cannot be used when the student would like to re-do work for a better grade. The petition is only to cover work that cannot be submitted on time by the end of the course due to illness, family emergency, or other compelling circumstances. If the required work is submitted after the end of the grading period, but within 42 days of the end of the class, in keeping with the contract, the student’s grade will be amended by the professor from what it had been at the end of the grading period to what was earned by the end of the time agreed upon in the contract. After the 42 days from the end of the course, no grade can be altered in the Registrar’s database, except through written appeal to the Dean of Academic Programs. Students needing to withdraw from an online credit course must inform their instructor and the MUM Online department at de@mum.edu of their intent to withdraw. Students who have not applied to a degree program and are taking one course at a time will be charged a minimum 50% of the course fee, and after 25% of the course, there is no refund. Online students who have not been enrolled for two semesters or longer must reapply and be accepted by the Office of Admissions before continuing their online studies.